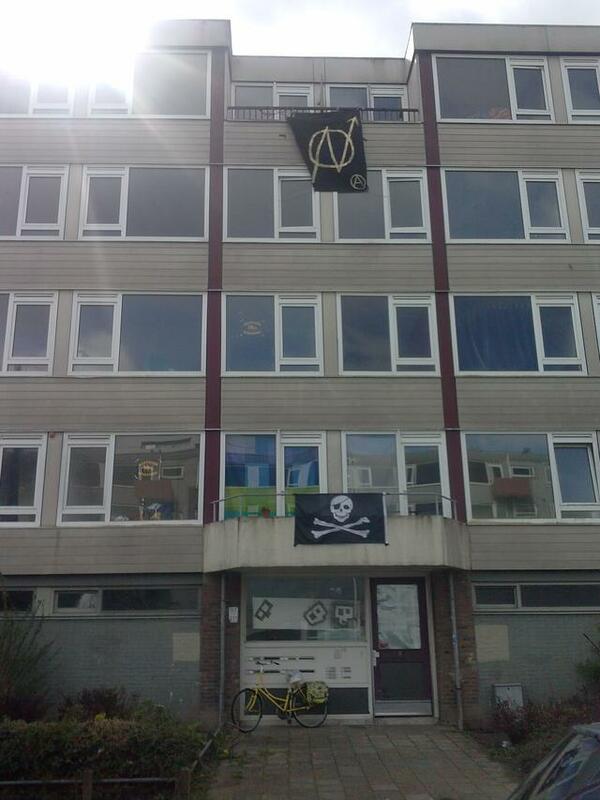 Today a group of squatter tried to resquat an unused building in utrecht. 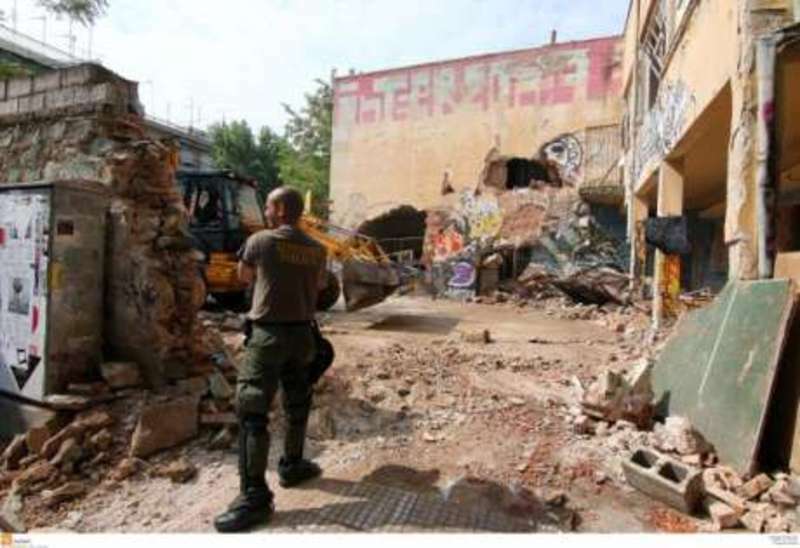 The first cop that arrived told the officer of duty that they went to the building because they got a phone call from the squatters, saying that they (the squatters) squatted the building. The officer of duty replied that this was not the case: they got a phone call from a neighbor that there were burglars. Coincidentally, a call concerning burglary is a reason to enter a house, a call explaining a squat is not. Was this miscommunication? 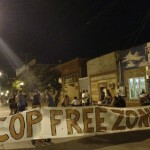 On Friday night a couple dozen folks converged on the local autonomous infoshop in Carbondale, IL for an illegal dance party in the street. In addition to locals, cars arrived from Bloomington, Chicago, and St. Louis to participate. 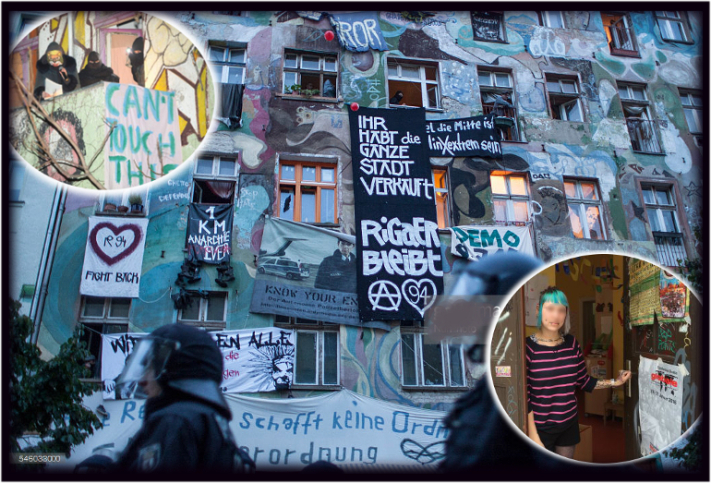 The plan was to throw an unpermitted street party with free food and loud music, and as things progressed and energy rose, to block off the street and visibly polarize the space against state violence with large handmade banners declaring it a cop-free zone. 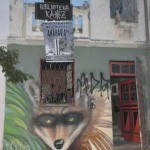 Rigaer 94 occupied center in Berlin symbolizes the struggle for a practical alternative to rampant insane predator capitalism. Police complained that more than 120 officers were injured on Saturday (one had a bruise on his arm) and some 86 demonstrators were violently arrested during popular defence in the German capital which mercenary police complained was ‘the most aggressive and violent resistance in the last five years’. 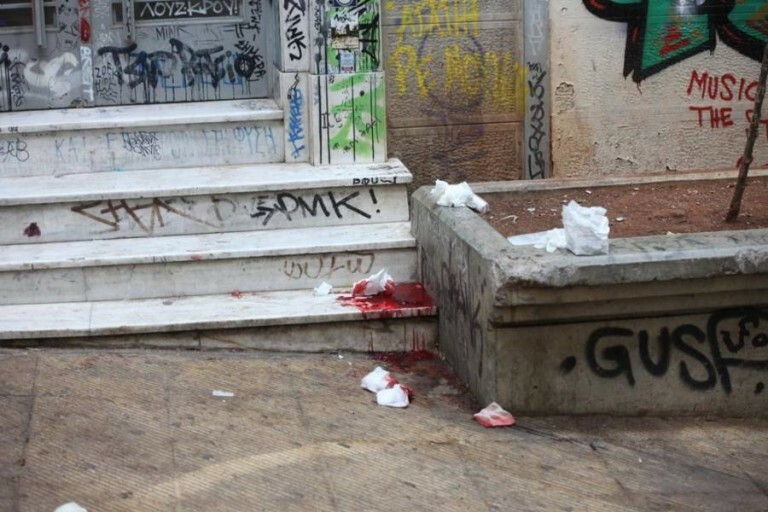 Berlin state propaganda officials said in a statement Sunday that evil leftist protesters threw bottles, cobble stones and fireworks at the, attacking officers in full protective riot gear and hurt them with fists and kicks. 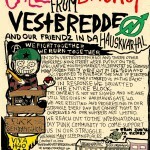 We in Vestbredden knows there have been questions and a need for an update from our international supporters, after the recent evictions in our street. 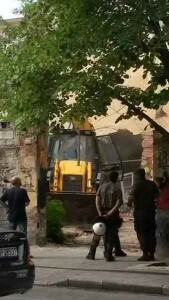 A lot of supporters have been asking weither Vestbredden is evicted or not, it is important to keep the facts clear and as no international newspapers wishes to cover our struggle ; we must be our own media. 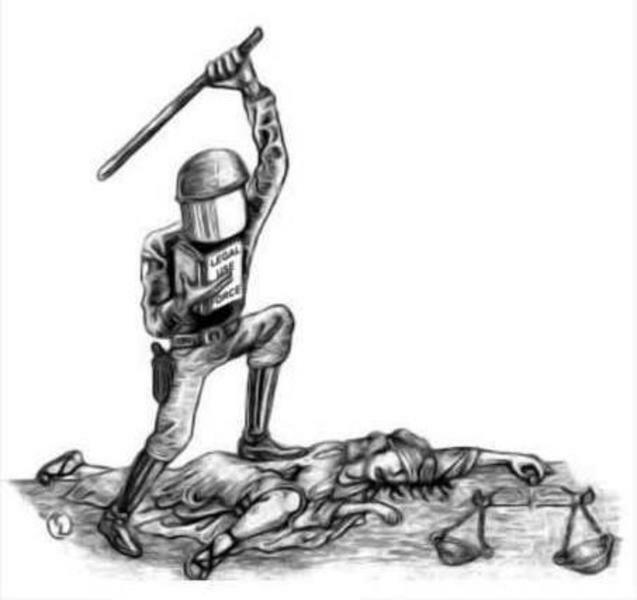 There have also been lies about chemical weapons in the evicted spaces. 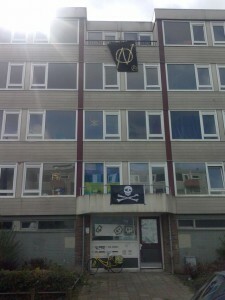 In the last two months, the entire Hauskvartalet as a whole has been squatted in protest against the sales prospect. 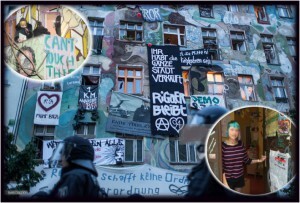 The previously evicted Hausmannsgate 42 was re-squatted along with Brenneriveien 1 aka Hausmannsplatz.